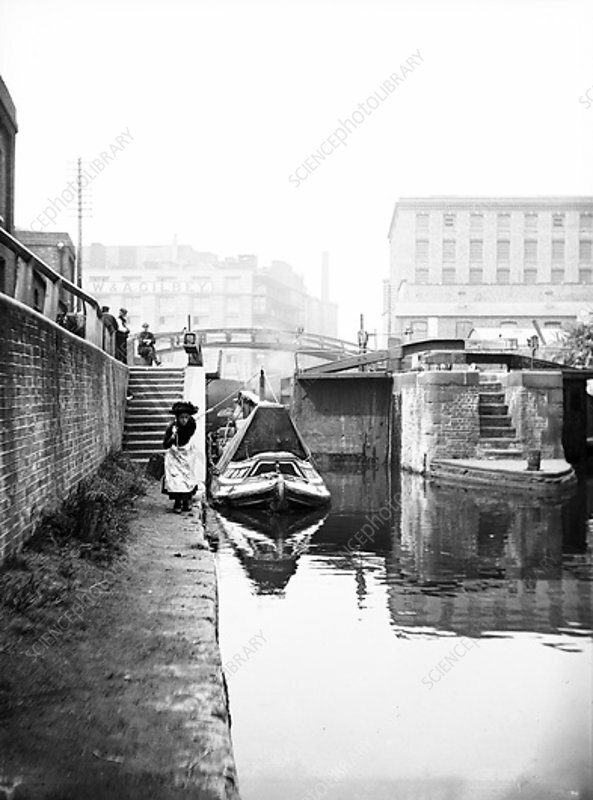 Regent's Canal at Hawley Lock, St Pancras, Camden, London, c1905. The Regent's Canal, connecting the Paddington Canal and the Thames at Limehouse, was opened in 1820. The canal cost 772,000 to construct, twice the amount originally estimated. In 1929 the Regent's Canal Company purchased the Grand Junction and Warwick Canals, merging the three waterways to create the Grand Union Canal.